The Beer Bottle Opener – If there is one bartending tool that is an absolute must-have for bartenders, its the beer opener. And, if you haven’t been to a bar supplies store or looked online recently, you’re probably not aware of the vast array of different bottle openers on the market. Today, most of us give very little thought to opening a bottle, that is until we have a bottle and no way to open it. Pretty much any bottle opener will easily open a bottle of beer; that however was not always the case. Back in the early days of beer, most bottles were corked making it difficult and sometimes downright dangerous to sit back and enjoy a nice cold beer. 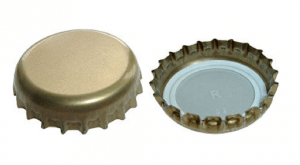 Finally, in1892 William Painter invented the ‘Crown Cork Cap’ which is very similar to what we still use today. While this seems like a great invention, it was a hard sell as there was no safe way to get the bottle cap off the bottle. For the next couple of years, it was easy to identify regular beer drinkers by the scars they bore on their knuckles and fingers. We are not sure why but it took until 1894 for Painter to finally invent the Churchkey / Church key bottle opener. It’s easy to see why the first openers were called Churchkey openers. The design of the whole that was used to place the key on a keyring looks like it can almost open a bottle; but not quite. Humboldt Churchkey bottle opener that had a round hole for attaching to a key ring as well as a square hole for closing the valves on gas-powered car headlights. The modern-day Churchkey bottle opener has the same type of whole at the bottom, as it did in 1894. 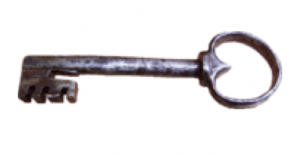 The whole on the bottom was fashioned after actual church keys allowing them to be put on a keyring. By 1952 the Wall Mount bottle opener was invented and was probably the biggest revolution for bartenders and their sore elbows. The biggest benefit of wall mounted bottle openers was because it allowed bartenders to open a bottle with one hand, stayed in a fixed position and typically had a cap catcher mounted underneath it. The 1950’s was also when the ‘Bar Blade’ opener (also known as the ‘Speed Opener’, the ‘Mamba’ and the ‘Popper’) was invented and quickly became the most widely used by bartenders. 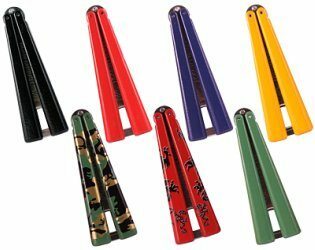 They are still one of the most popular by professionals as they are so easy to use, compact, quick to pick up, and can be purchased with an easy grip body. The full circle on either end allows you to open bottles the traditional way or to hook and pop them open (the cool way). 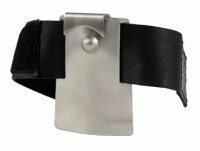 This opener is made with thick gauge, quality stainless steel an is popular in fast-paced pubs and clubs where bartenders have to open multiple beers quickly. This speed opener, called the Bone Opener, is an answer to bartenders’ prayers everywhere. Designed like the speed opener above, but with one big difference – one end is designed to help bartenders pop off pour spouts from liquor bottles. You know at the end of the night when you have to clean all the liquor pour spouts but some are so stuck that even a rag doesn’t help pulling it out. Just slip this little puppy under the spout and give it a pull. This is one of the standard bottle openers you’ll find at a lot of bars. Although it’s functional and been around for ages, there are many different styles that allow for more speed and better handling. However, if you’re just looking for something for your home bar, this would be ideal. This beveled bottle opener has a steel mirror finish and fits nicely into your hand. This is an awesome bottle opener as it allows you to open two beer bottles at once! 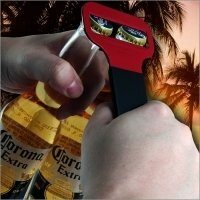 It has a quality Vinylworks coating for increased grip, which is softer on your bartenders’ pockets. What’s the point in opening one bottle fast when you can open two bottles just as fast. Carry it in your back pocket and it can be twirled out and put to action quickly and efficiently. Isn’t it about time you add some speed to your bartending skills? 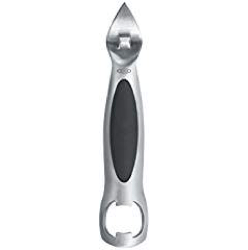 This is really a unique bottle opener insomuch as, unlike other openers, you don’t have to use two hands to open a beer bottle. Not only that, but the bartender can use only one hand to not only open the beer bottle, but they can pour the beer, collect the cap in the opener and put the empty bottle down without ever having to use their other hand. 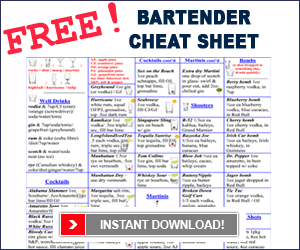 If you’ve been bartending for any time at all, you’ll know how important it is to have an extra free hand. In addition to being a cool, one-handed bottle opener, it’s hygienic as well as neither the bartender’s hand nor the opener itself touches the mouth of the beer bottle. These knuckle popper openers are a little smaller than the original speed openers. 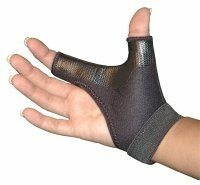 They have full-color graphics of your choice on both sides and come with a curved side which has indentations to ensure that it fits snuggly in your hand. Since they are smaller, they fit easier into your pocket or can be attached to a retractable reel. If you’re looking for speed, a good fit with your hand and a cool design, this is your opener. This is a menacing looking bottle opener. Made with the same light stainless steel metal as the other ripper bottle openers, this one not only looks cool but is useful as well. Sometimes when you’re bartending, you may not have the luxury of having bouncers or security on staff. But that doesn’t mean that trouble can’t happen. 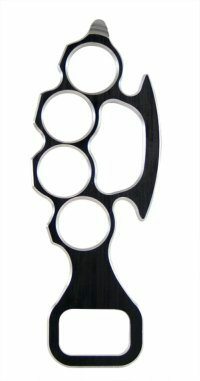 As a bartender working alone, you like to know that if something happens, you have something to tip the scales – this brass knuckle-like bottle opener. As well as being a very functional opener, you can use it to instill just the right amount of fear needed to get that unruly patron to leave the bar without an incident. You’ll turn your bartenders into bouncers just with its attention-grabbing design. This cute little bottle opener keyring looks like a regular key but is actually a very functional opener. It fits easily into your pocket or attached to the rest of your keys so that its ready anytime you’re ready for a cold one. Since a bartender with two hands-free is better (and more profitable) than a bartender with no hands-free, this molded ring bottle opener puts cash in your pocket. No more having to look for a bottle opener or fumbling around trying to find it in your pocket. 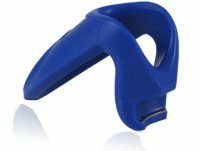 Made with high-quality plastic with a metal hook insert which is custom molded to the fit your finger. This opener extends over your knuckle for greater support when opening a beer bottle. Free your hands and fill your pockets with this molded ring bottle opener. These small ring bottle openers are the lightest and most unnoticeable of the hand attached openers. Being a bartender, keeping your hands free to do other chores is what makes the difference between having a good night of tips and having an outstanding night of tips. The more beers and customers you serve, the more money you’re making yourself…and the bar. Made of lightweight anodized aluminum. Available in a variety of sizes – measured by ring size. Hint: Use a ruler to measure the circumference of a ring that fits your finger to determine what size you need. This cool wrist-mounted bottle opener is a full foot long so that it’ll fit any size wrist. 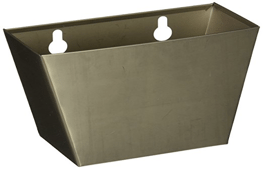 It has a stainless steel plate which is curved to fit the shape or your arm. The added velcro patch is stitched solidly to the leather for the ultimate hold. And, lighter than most watches, the leather wrist opener only weighs 3oz (.2lbs) so you’ll hardly know you’re wearing one. If you’ve bartended for any amount of time, you’ve surely opened many a bottle by hand. And if you’ve done that, you’ve likely run into a couple of beer bottles that were a little difficult to open. When that happens, your hand turns around the cap, but the cap doesn’t turn – causing long, little cuts, like paper cuts, on your fingers. Get the Griptender™ Glove and it won’t be a problem anymore.